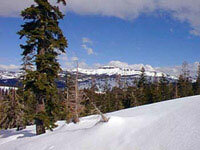 Truckee Mountain Vacation Rentals is located in the heart of Truckee and Lake Tahoe. We service Tahoe Donner, Truckee and Donner Lake recreation areas, offering a variety of condos and homes; from small condos to large 4 bedroom homes. Choose from a peaceful lazy setting, to a home with spectacular mountain views. Call us now to help plan your next family vacation.